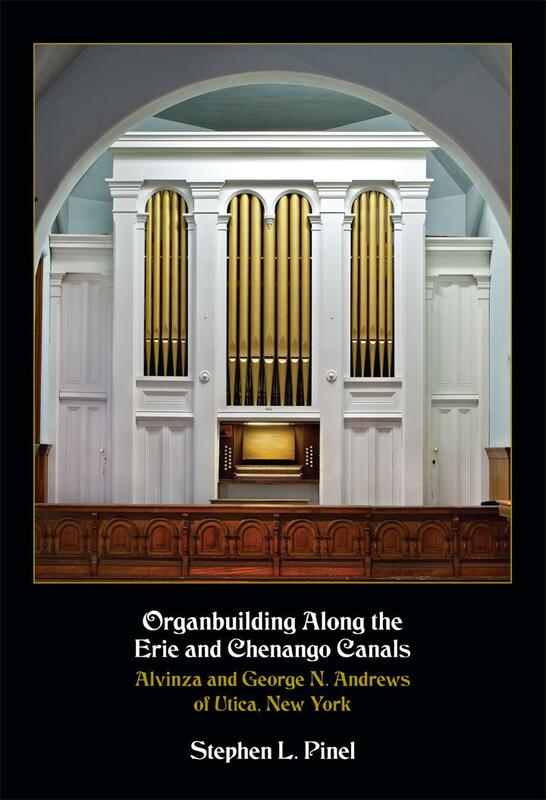 In 2010 the Organ Historical Society Press launched its series OHS monographs in American organ history with Organbuilding along the Erie and Chenango Canals by Stephen L. Pinel. The book chronicles the careers of the organ builders Alvinza and George N. Andrews of Utica, New York, and their innovative use of the canals to undercut their Boston and New York competition in the late nineteenth and early twentieth centuries. Sponsored by the Organ Historical Society, the Press also publishes a quarterly journal, an annual study of organs by locale, and CDs featuring historic American instruments.